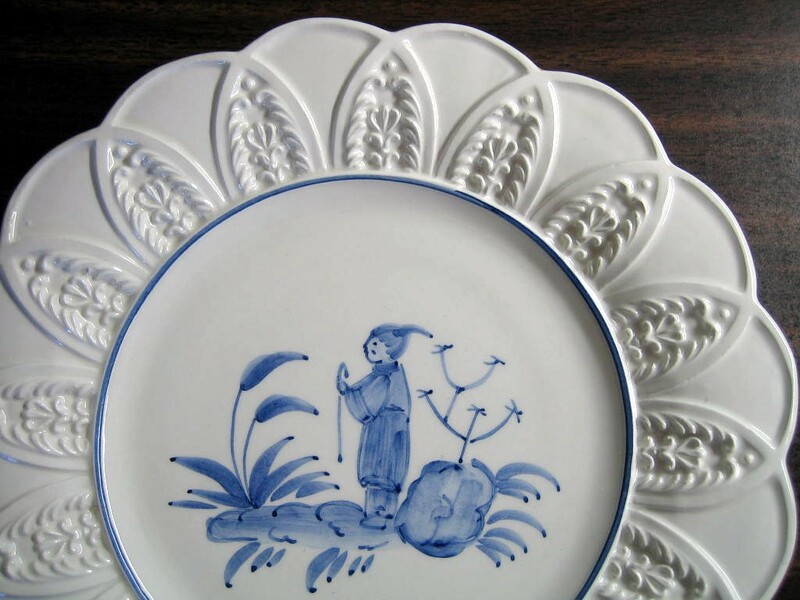 Click the button below to add the Blue on Bright White Asian Boy Standing Textured Leaf Edge Italy Plate to your wish list. 9". 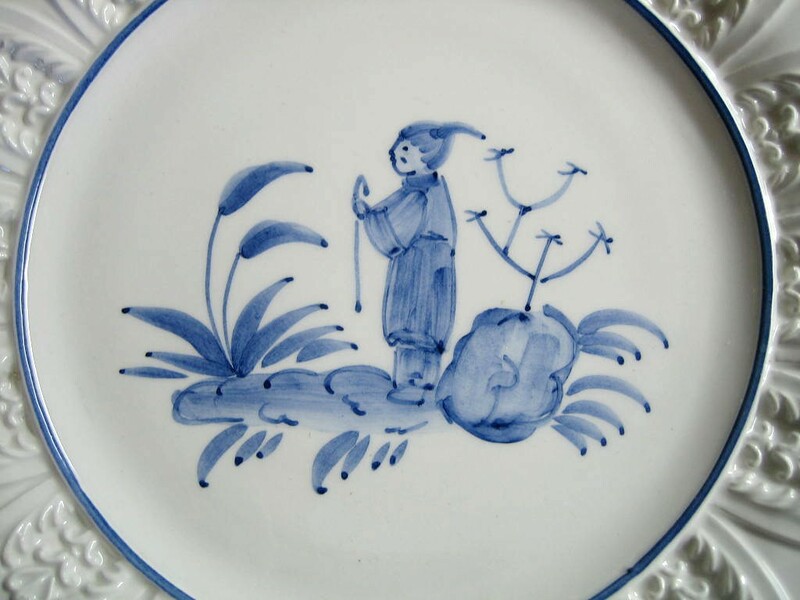 Whimsical hand painted Asian boy with leaves in blue on a white-white scalloped edge plate with textured leaf design on edge. Made in Italy.